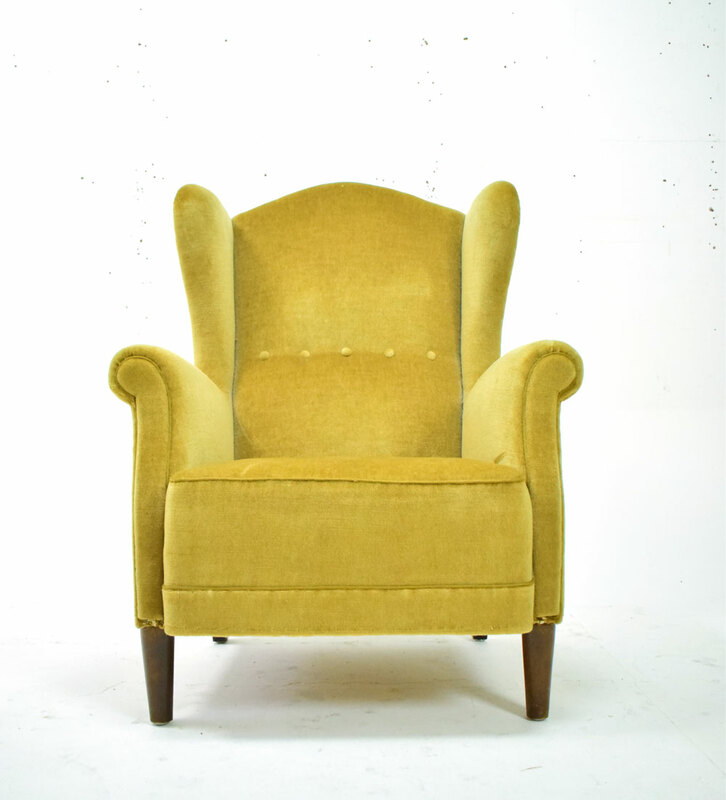 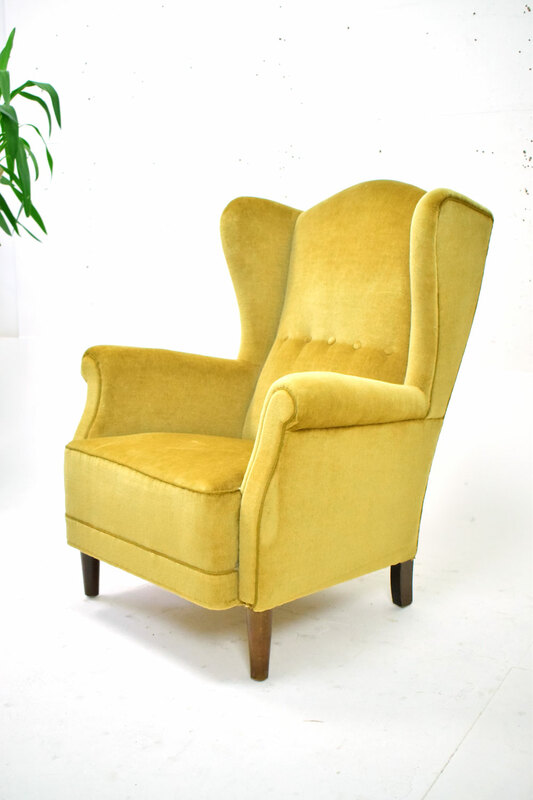 Midcentury Danish design wing back armchair in green fabric upholstery. 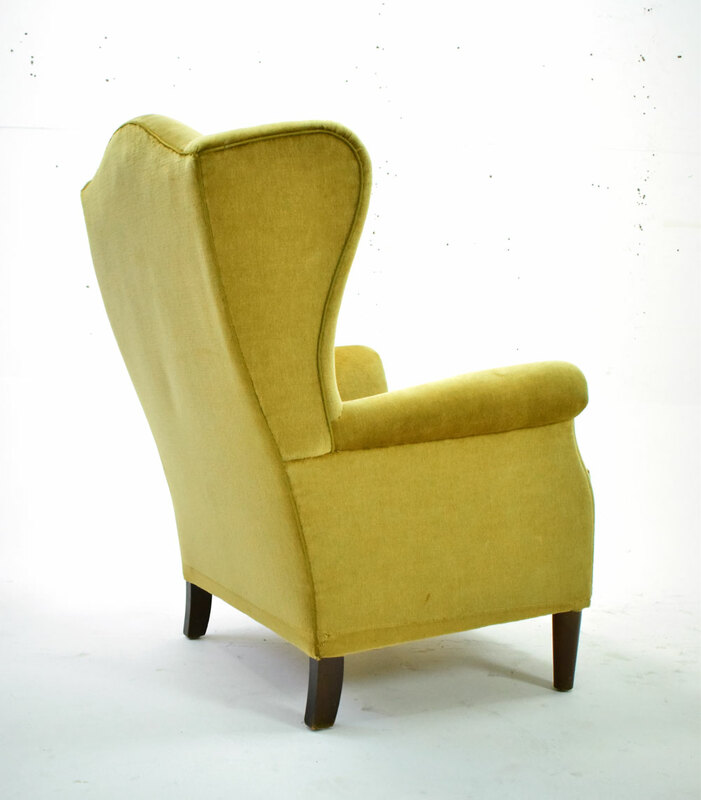 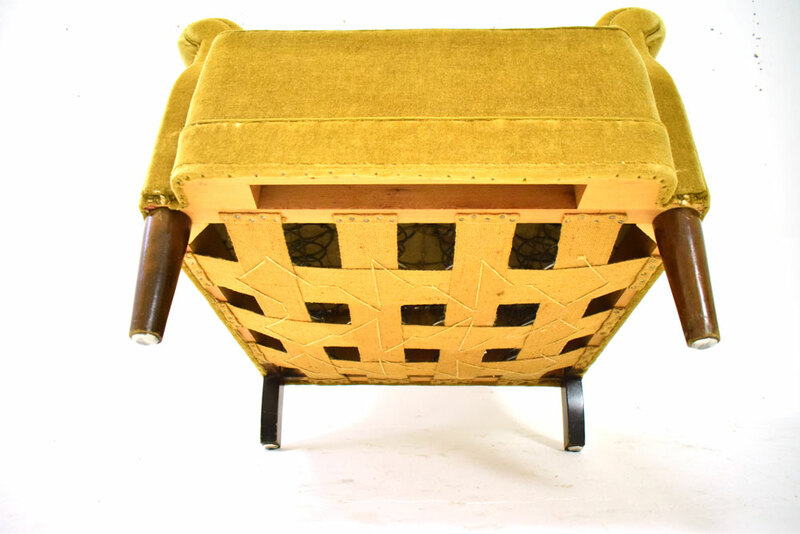 This lovely high back armchair is very comfortable & supportive, making it perfect for use as a reading chair. 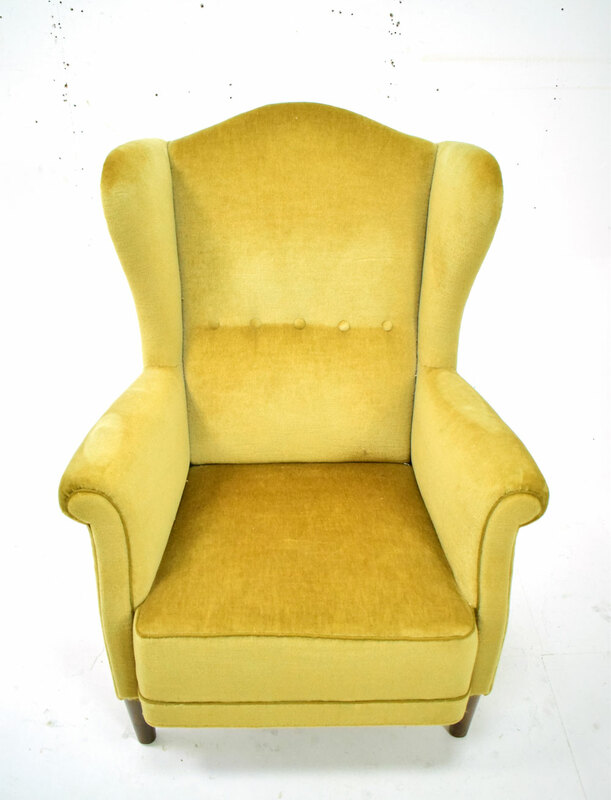 Its coil sprung seat ensures that you have a mix of support and comfort while sitting. 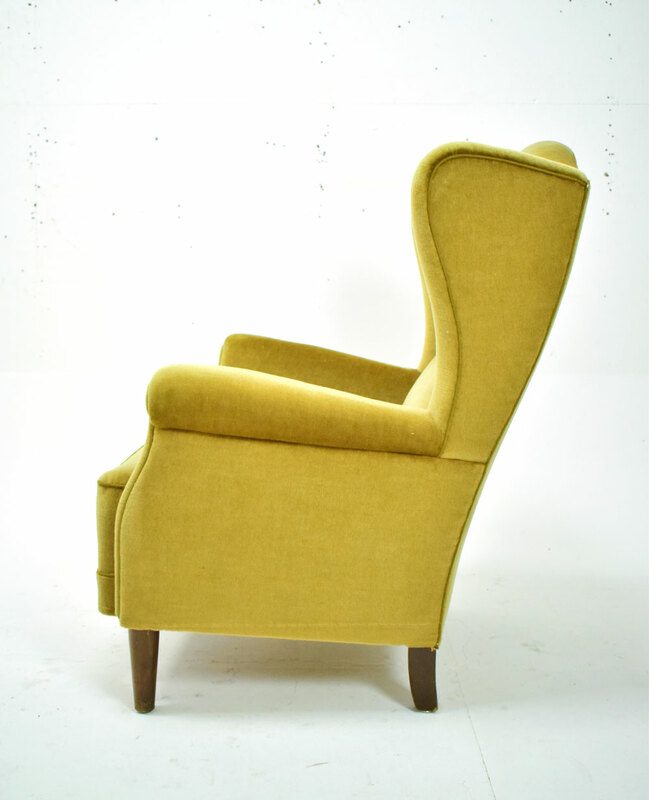 The high back allows you to rest your neck / head back while enjoying a book or watching the TV. 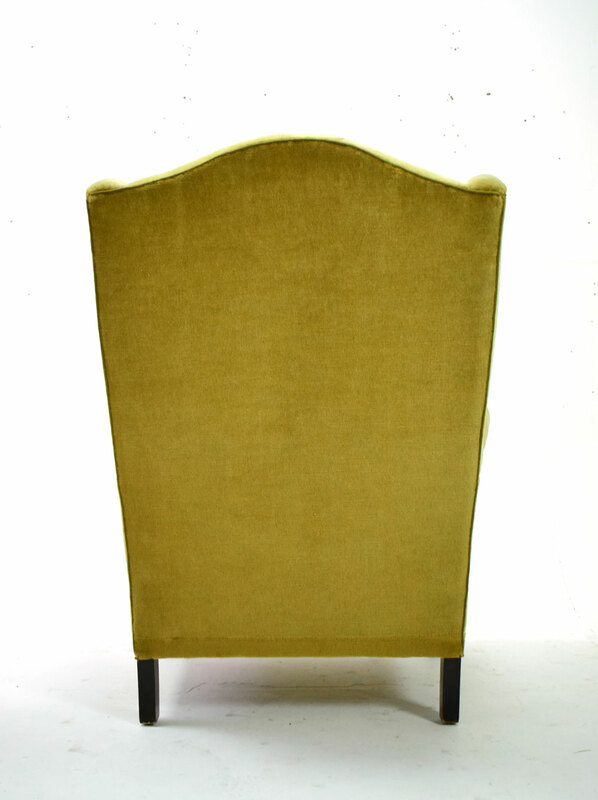 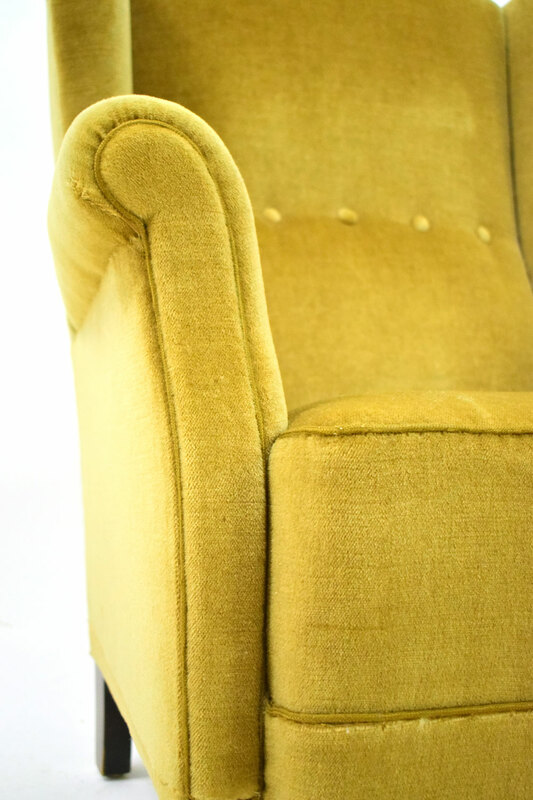 The armchair if fully upholstered in its original Autumn green fabric. 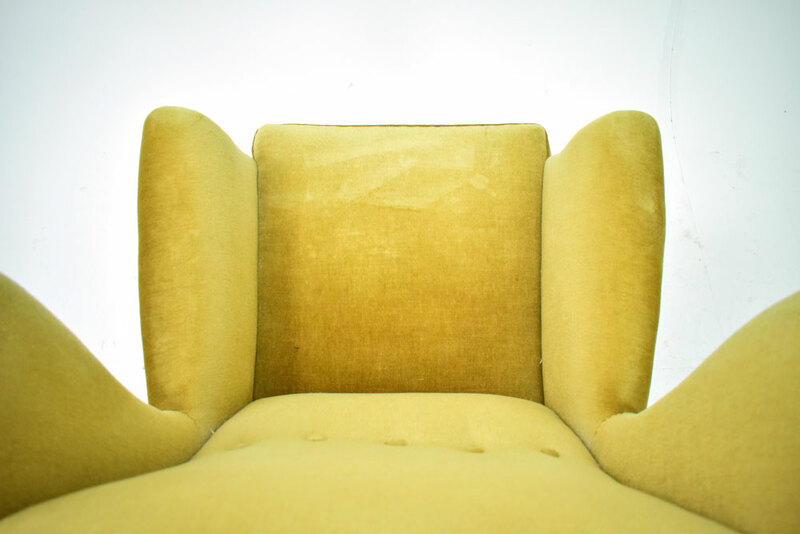 Fabric & sprung seat in good condition.